Low-cost, bare-bones servers are growing in popularity among Internet service providers that want to upgrade their data centres without incurring steep expenses. Hewlett-Packard has recently adopted this open hardware approach with its economical Cloudline servers which start shipping on March 30. The servers share specifications with sever offerings from vendors using the Open Rack and Open Cloud Server specifications developed by the Open Compute Project (OCP) founded by Facebook in 2012. The OCP standards allow companies to standardize BIOs, components, systems management, storage and networking technologies. 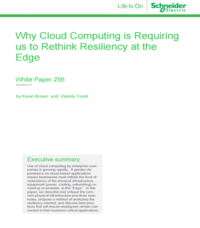 Cloudline breaks from the proprietary technology found in HP Proliant servers. The Cloudline servers will also be the first servers from HP to be built in partnership with electronic giant Foxconn of China. The severs can be priced as much as 10 per cent cheaper than Proliant servers and depending on hardware configuration, savings could reach as much as 25 per cent. The CL1100 Cloudline server is a basic low-cost, two socket server for Web hosting. The CL2100 and CL2200 are two-socket servers with more memory and capacity. The CL7100 and CL7300 for rack-level deployments of one or two-socket servers with shared power and cooling resources, will ship later this year.